Once you create and publish a new blog post it should reach your audience and to do so, best practice is to syndicate you content. Simply “syndication” means publishing or making a post available in multiple sites or services. So am I going to make my post available on multiple sites? 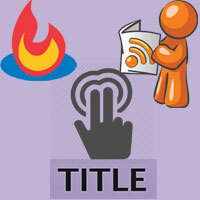 No you are just going to syndicate your blogs RSS feeds using Feedburner. So what is RSS? 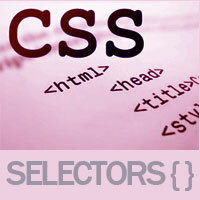 RSS means Really Simple Syndication that shows your blog updates in XML format. It is really simple syndication and so you and your readers will simply have no features. 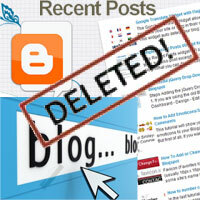 So we are going to burn your blogs RSS feeds using Feedburner. Blogger blogs RSS feed URL will be like http://yourblog.blogspot.com/feeds/posts/default?alt=rss in which you can see your latest posts in XML format. 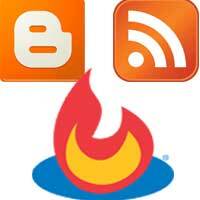 Feedburner is a product from Google and it is trusted and used by most of the bloggers. 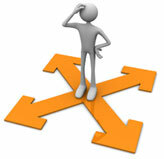 The reason is Feedburner has bunch of options for you as well as your readers. You will have lots of options to optimize and publicize your feeds. There are still more features to go, which we will cover later in this article. Now we will start setting up Feedburner for Blogger. Now enter your blog URL where it says “burn a feed right this instant” and click next. In next screen you will see “Identify feed source”. Just select the default Atom feed and click next. Now enter you feed title and choose a feed address and click next. Best practice is to have your blog title as feed title. Now you Feedburner feeds is live. Just click skip directly to feed management at the bottom of the screen. Ignore all those blogging platforms that you see in your feed management screen. Now we will move on to configure Feedburner. Go to analyze tab and you can see a note saying “your feed is so new we are still playing with the bubble wrap” which is common. Just leave it. Now move on to optimize tab and then activate browser friendly which makes your readers easy to subscribe to your feed. Activate smart feed and in feed flare check required services and activate it, so that users can share your feeds. Also activate summary burner, so instead of showing full posts in your feeds you can just show summary, so that your subscribers will visit your site to read more. Once done move on to publicize tab. 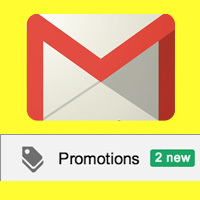 In publicize tab activate Email Subscriptions in which all your latest blog post will be send to your subscribers inbox. After activation, Feedburner provides you a code which you can use it in your widget to show a simple subscription form. Also its recommended that you activate ping shot which notifies several services when you make a new post. Above mentioned are recommended service that you need to activate, but as you like you can activate additional services that you want. You are almost done setting up Feedburner for Blogger, but there is one final step that is redirecting your Blogger feed URL to Feedburner. So visitors who visit your default Blogger feed URL (http://yourblog.blogspot.com/feeds/posts/default) will be redirected to your Feedburner address where they will have bunch of features. Login to your Blogger dashboard and then go to settings >> other. Now in post feed redirect URL enter your Feedburner address and click save changes. 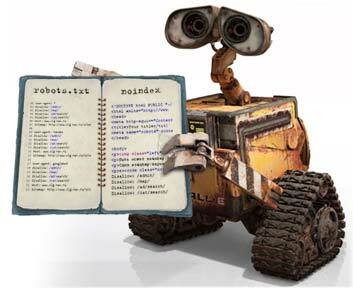 You have finished setting up Feedburner for Blogger, configured Feedburner and redirected Blogger Feed URL to Feedburner. Now your visitors enjoy reading to your blog feeds. Hope this post is useful for you on how to setup Feedburner for Blogger blogs. Share it and don’t forget to subscribe to our RSS feeds.